If you work with large datasets, there can be a need to create a search functionality that allows you to quickly highlight cells/rows for the searched term. 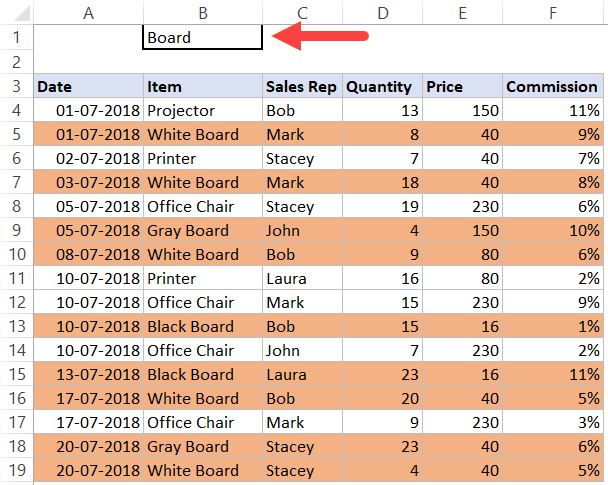 While there is no direct way to do this in Excel, you can create a search functionality using Conditional Formatting. For example, suppose you have a dataset as shown below (in the image). It has columns for Product Name, Sales Rep, and Country. Now you can use conditional formatting to search for a keyword (by entering it in cell C2) and highlight all the cells that have that keyword. 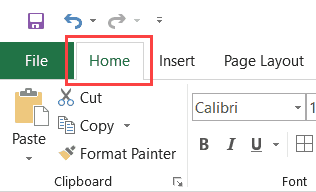 In this tutorial, I will show you how to create this search and highlight functionality in Excel. Later in the tutorial, we will go a bit advanced and see how to make it dynamic (so that it highlights while you’re typing in the search box). In this section. I will show you how to search and highlight only the matching cells in a dataset. 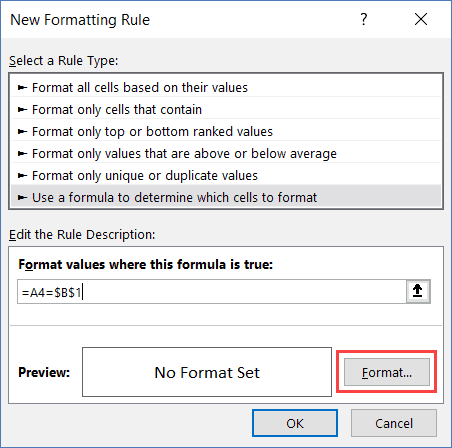 Select the dataset on which you want to apply Conditional Formatting (A4:F19 in this example). In the Styles group, click on Conditional Formatting. In the drop-down options, click on New Rule. 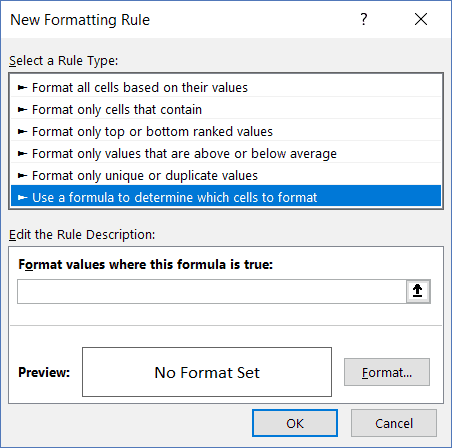 In the ‘New Formatting Rule’ dialog box, click on the option ‘Use a formula to determine which cells to format’. 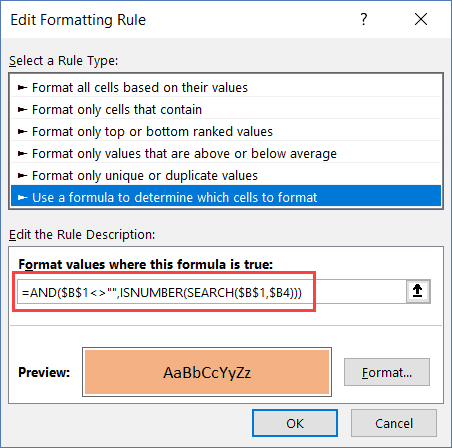 Specify the formatting (to highlight cells that match the searched keyword). Now type anything in cell B1 and press enter. It will highlight the matching cells in the dataset that contain the keyword in B1. 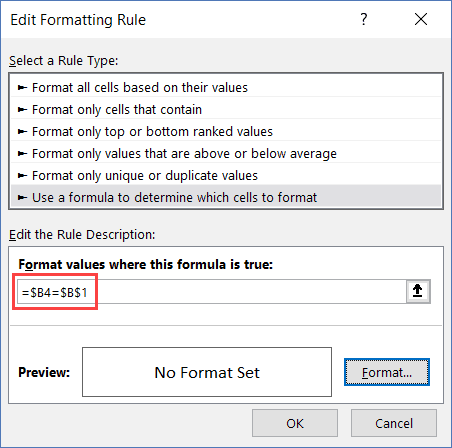 Conditional Formatting gets applied whenever the formula specified in it returns TRUE. Conditional Formatting checks each cell and verifies it the content in the cell is the same as that in cell B1. If it’s the same, the formula returns TRUE and the cell gets highlighted. If it isn’t the same, the formula returns FALSE and nothing happens. If you want to highlight the entire row instead of just the matching cells, you can do that by tweaking the formula a little. 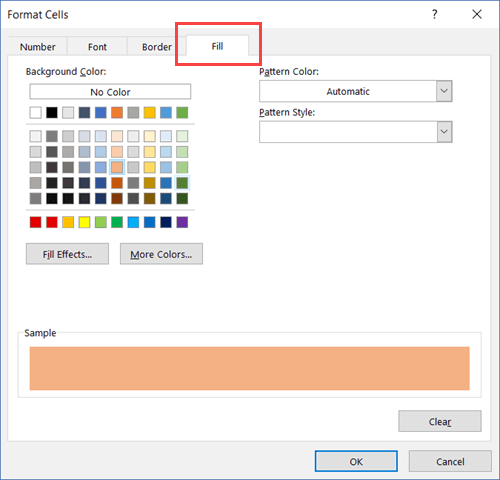 Below is an example where the entire row gets highlighted if the product type matches the one in cell B1. The above steps would search for the specified item in the dataset, and if it finds the matching item, it will highlight the entire row. Note: The reason it highlights the entire row and not just the matching cell is that we have used a $ sign before the column reference ($B4). 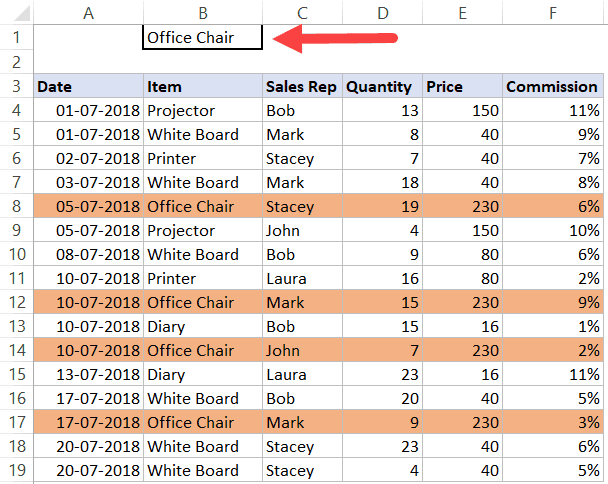 Now when conditional formatting analyzes cells in a row, it checks whether the value in column B of that row is equal to the value in cell B1. So even when it’s analyzing A4 or B4 or C4 and so on, it’s checking for B4 value only (as we have locked column B by using the dollar sign). You can read more about absolute, relative and mixed references here. In some cases, you may want to highlight rows based on a partial match. For example, if you have items such as White Board, Green Board, and Gray Board, and you want to highlight all these based on the word Board, then you can do this using the SEARCH function. SEARCH function looks for the search string/keyword in all the cells in a row. It returns an error if the search keyword is not found, and returns a number if it finds a match. ISNUMBER function converts the error into FALSE and the numeric values into TRUE. AND function checks for an additional condition – that cell C2 should not be empty. So now, whenever you type a keyword in cell B1 and press Enter, it highlights all the rows that have the cells that contain that keyword. Bonus Tip: If you want to make the search case sensitive, use the FIND Function instead of SEARCH. 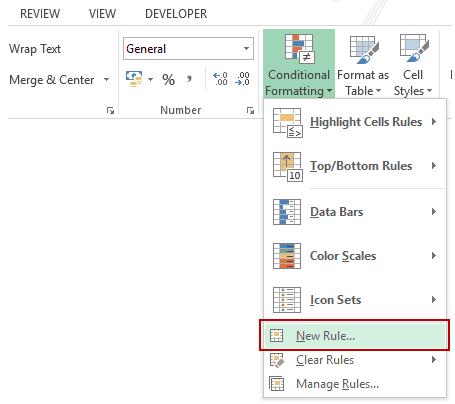 Using the same Conditional Formatting tricks covered above, you can also take it a step further and make it dynamic. For example, you can create a search bar where the matching data gets highlighted as you’re typing in the search bar. This can be done using ActiveX controls and can be a good functionality to use when creating reports or dashboards. Did you find this tutorial useful? Let me know your thoughts in the comments section. 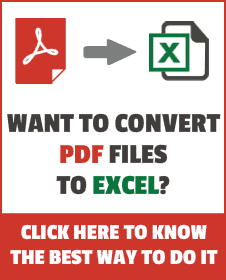 Dynamic Excel Filter – Extracts Data as you Type. Create a drop-down list with search suggestion. Highlight Rows Based on a Cell Value in Excel. Highlight the Active Row and Column in a Data Range in Excel. I cant get the formula to work. Excel wont recognize it. Sorry men. I do not why, in my case, it does not work. In the bets of the scenarios, it highlight like two cells that they do not have anything to do. Hello, Why don’t =AND($C$2″”, OR(ISNUMBER(SEARCH($C$2, $B5)))) works?Coz I tried that formula so that even if I just input a string or a keyword, it will highlight that particular word, not the entire row. That formula works but if only I try to input the product, but if i try to input the name and geography it wont work. I find Search and Highlight Cells using Conditional Formatting very useful however I tried every other possibility to but doesn’t highlight any data. Same applies with Gantt chart as well I could not format the date schedule. I am using Microsoft office 2007. Hope you can help me out. Hi , I can’t see the necessity here for OR either, i used =SEARCH(input;$B16&$C16&$D16&$E16&$F16) , where $B16 &…. 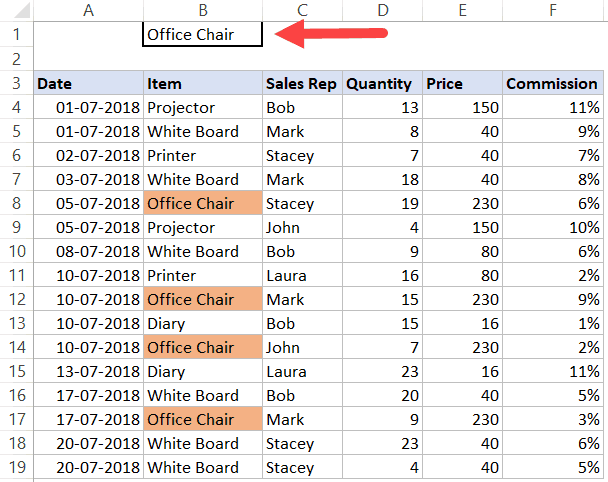 your range for row to be highlited and “input” the name of the cell that searches, also make sure you select the area you want with Shift+Ctrl before you go to Conditional formating, hope it works for you. OR formula would highlight the entire row. The first formula showcases how you can highlight matching cells only (in the countries column). I have used the OR formula in the second tab (in the download file), where the intent is to highlight the entire row. It doesn’t work without OR as $C$2=$B5:$D5 does not return a single TRUE or FALSE. Rather it returns an array of True/False. If you do not use OR, there would always be FALSE in the array, and hence AND would always return FALSE. I have a doubt, why C2 is not equal to D5, I mean –> =AND($C$2″”,$C$2=D5) but instead you used =AND($C$2″”,$C$2=B5) which works here.